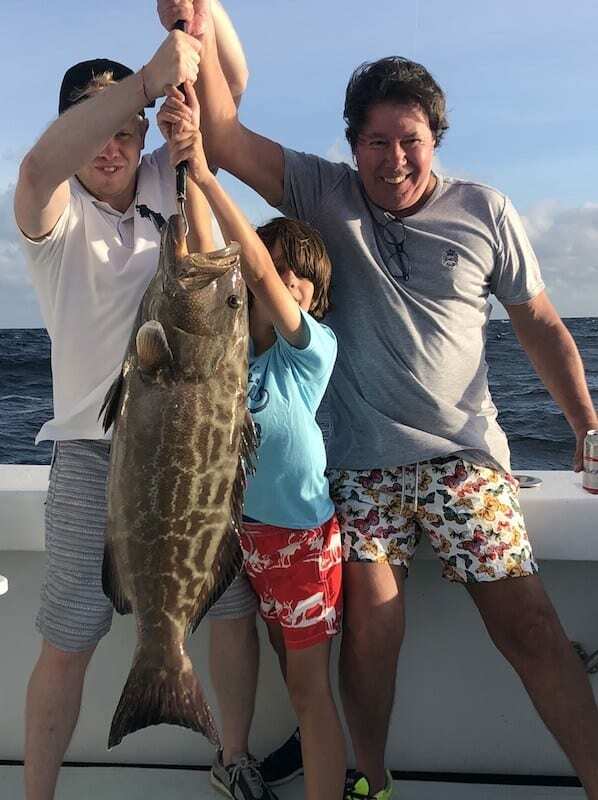 Fishing Reports: Miami's Grouper Season is Coming to a close. Fishing Miami Grouper Season for shallow water ends the last day of Fishing Miami Grouper SeasonDecember and that is approaching quickly. 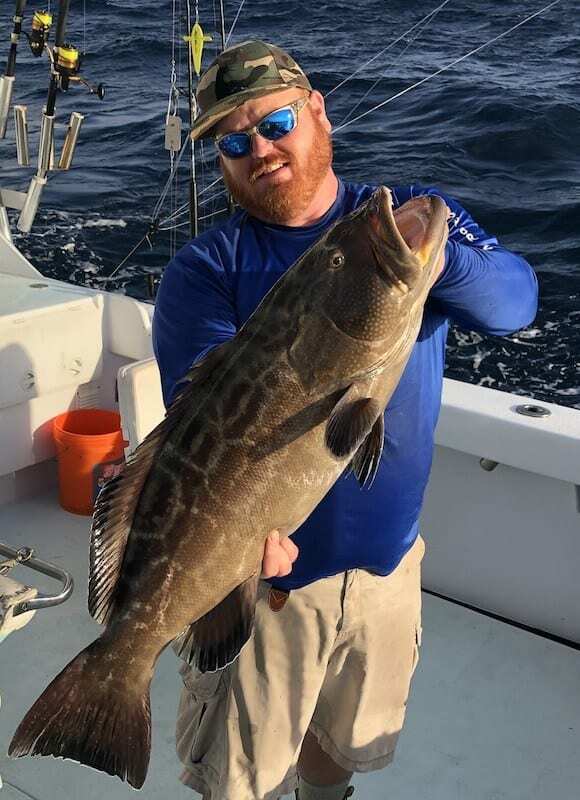 We have two different grouper populations off Miami. The first is the shallow water Groupers. 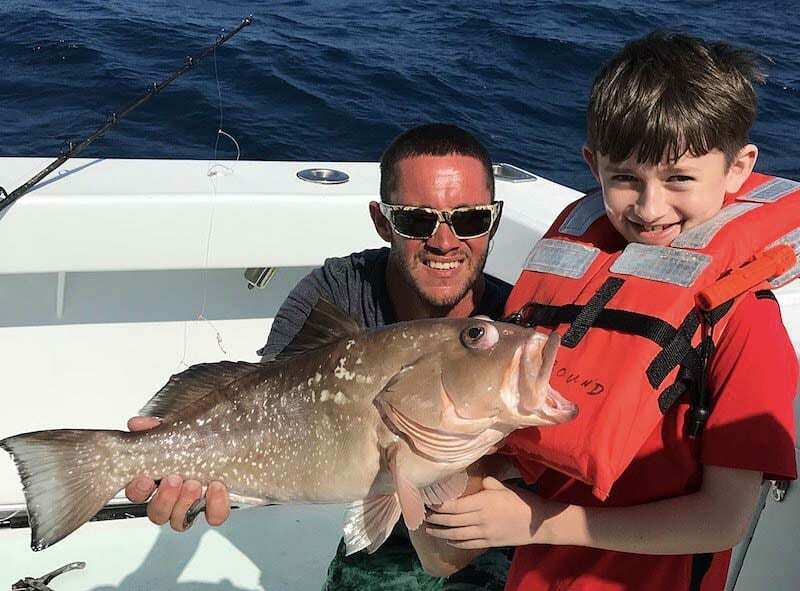 This category includes: Black Grouper, Gag Grouper, Red Grouper, Scamp Grouper, Yellow Mouth Grouper, Yellowfin Grouper, Hinds and Conies. The second category is the Deep Water Groupers. This category includes: Snowy Grouper, Yellow Edge Grouper and Warsaw Grouper. This group of Groupers remains open all year. Although the bag limits are one per person, while the shallow water groupers are three per person. With this years grouper season quickly coming to an end, Capt. Manny, crew and our customers have been doing their best to a few groupers in the box before season ends. We have been finding some good size Black Grouper on wrecks and reefs in about 100 feet to about 200 feet of water. The rigs that we are finding most productive are long leader rigs. Two pounds of lead will typically do the job of keeping a bait near the bottom. We will typically use 80 lb to 120 lb leader. The heavy leader will protect us from the jagged and rough terrain that groupers love. Sharp coral and rusted metal can be a one tough place to pull a big grouper free.